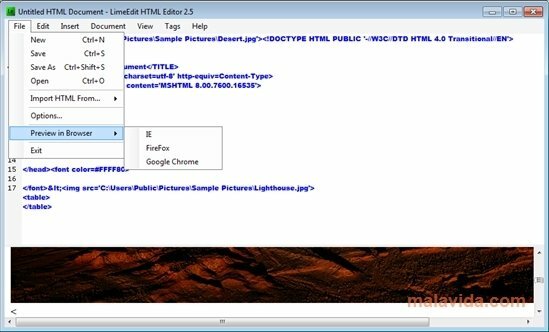 LimeEdit is a simple tool to edit and create HTML code. If you don't have a lot of knowledge about this field, there is no reason to worry, because LimeEdit has an intuitive interface that will make things a lot easier. What's more, it allows you to import the HTML code from a web, by inserting its link or to import CSS that has already been created. 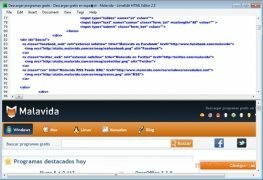 This application makes it easy to edit HTML code by means of its useful tools and functions. You will have shortcuts to the main HTML language tags. 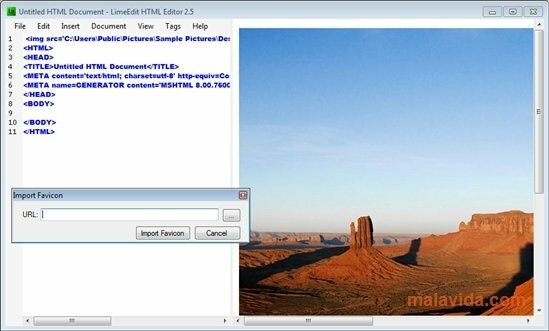 LimeEdit also allows you to insert images and table in a very easy way: by means of the menu and the Insert command you can insert an image from your computer or from a website, a full table or columns and lines. 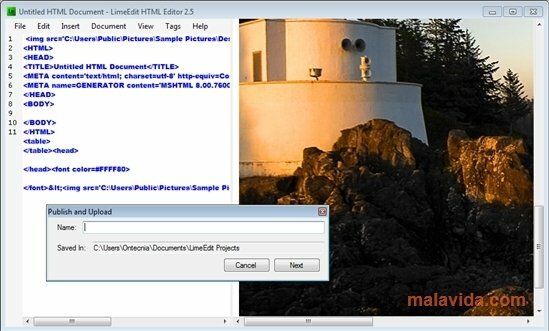 With LimeEdit you will be able to view the result by means of the browsers that you have installed on your computer, to be able to check how your work evolves. By means of its interface you will be able to distinguish the code elements by using different colors, something that will easily make it easier to understand. 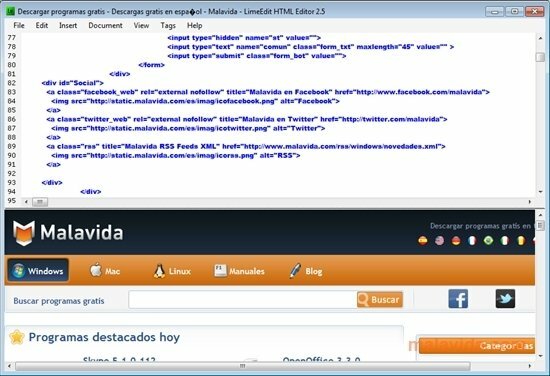 If you want to start editing or creating HTML code, this application will be easy to understand and use. This download requires a ZIP compatible compressor. It also requires Microsoft .NET Framework 4.0.